There are two things I seem to do a lot of in my philosophy courses: court confusion, and unearth students’ confusion. As a practice that involves clarifying concepts and the relations between them, in teaching philosophy there is always the question of whether to warn students away from confusion or let them experience it, evaluate it, and try to find their way out. I believe that the experience of confronting one’s own puzzlements as such works better for honing one’s philosophical skills. Of course, allowing the space for this is risky, because one has less control over what will arise in the classroom. Over the years I've gotten a little better at anticipating how students might respond, so this practice is now more tightly planned than might seem. Even so, teaching remains a partly cerebral and partly intuitive activity, a result of a mix of planning ahead and spontaneously responding in the moment. 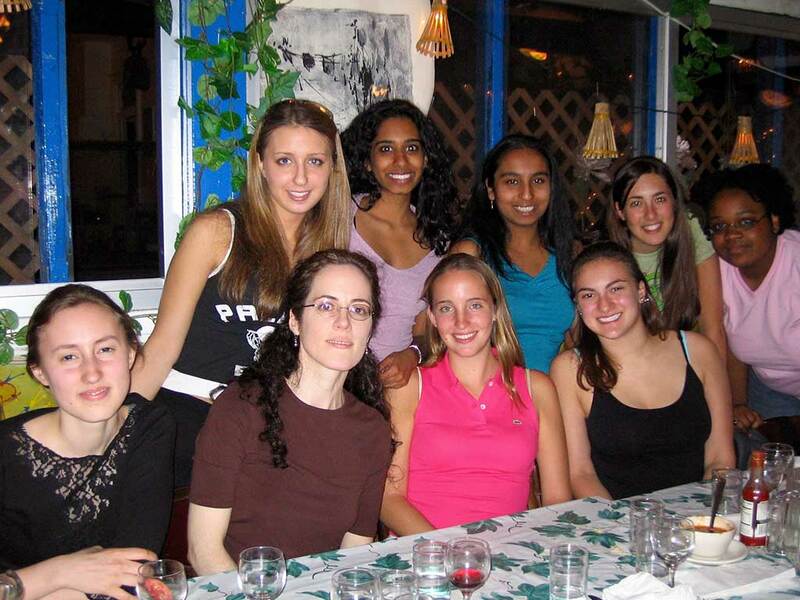 At Le Monde with Barnard Senior philosophy majors in 2012. 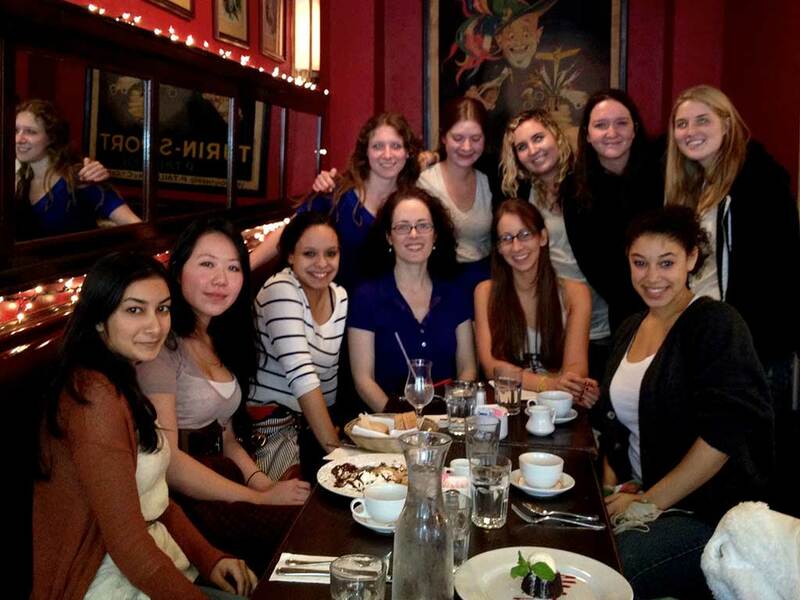 At Symposium (the restaurant) with Barnard first-year writing students.